Join us in these exclusive “on-farm” dinner experiences! Only 40 seats will be sold to each event! They’ll go fast, so register your seat today to ensure you don’t miss out. Enjoy a 3-course organic meal carefully prepared using organic ingredients produced by our Ontario organic farmers and prepared by some of Ontario’s leading chefs in sustainable food-artistry. Sample Ontario produced organic wine and beer, and enjoy live music performed by local musicians – all hosted in intimate and beautiful outdoor settings. Sit at the table with Ontario’s organic farmers and be inspired by their stories. Partake in an educational farm tour. Meet our incredibly talented Chefs. Share your views on organic agriculture with the Organic Council’s Executive Director and Board. 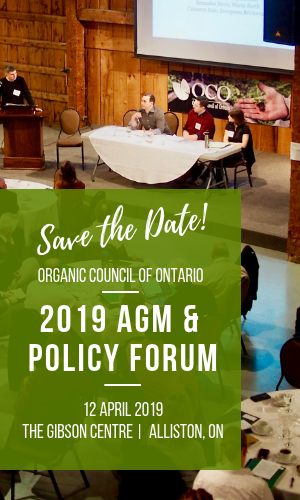 Celebrate Ontario organics!